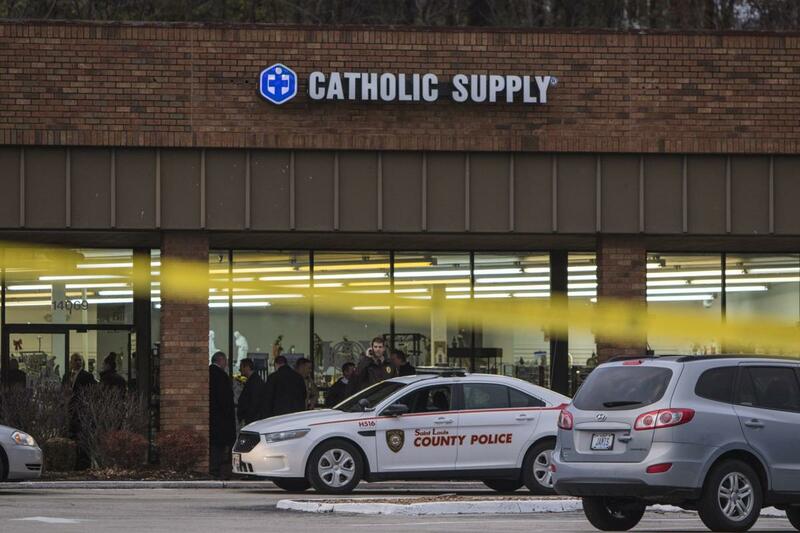 A gunman fatally shot a woman and sexually assaulted at least one person at a Catholic Supply. The 53-year-old female victim later died. A manhunt was still underway several hours after the shooting, reported at 3:19 p.m. A police spokesman said at a press conference about 5 p.m. that investigators had "no idea" of a motive and that the man did not appear to know the victims. "We have a loose, armed gunman out there who's already shot one person," St. Louis County Police Sgt. Shawn McGuire said. Witnesses described the attacker to police as a white man, about 5 feet 7 inches with a heavy build and age 45-50. He was wearing a black jacket and blue jeans with a large belt. He was wearing a black or gray hat. Police were searching the area for the gunman. 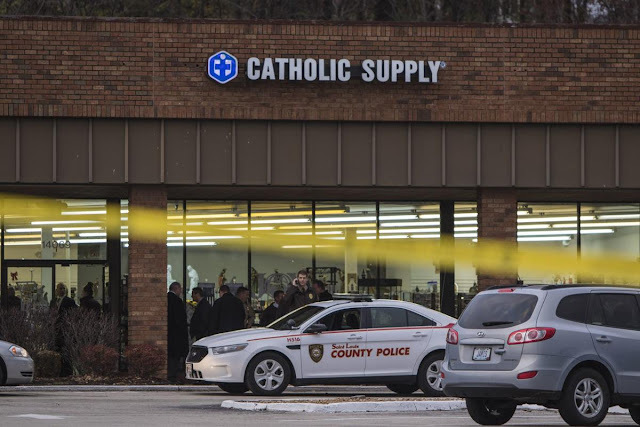 "Our hearts go out to the victims of this horrific tragedy at Catholic Supply,"
Archbishop Robert J. Carlson said in a statement. "We are praying for these victims, especially the victim in critical condition at this time. We join with civil authorities asking for the community’s assistance in apprehending the culprit of this crime." "We’re asking for prayers for those involved and their families." Officers were first brought to the scene by a 911 caller who reported that the shooter went inside the store and ordered women inside to strip at gunpoint, and sexually assaulted several of them before shooting one of them in the head.